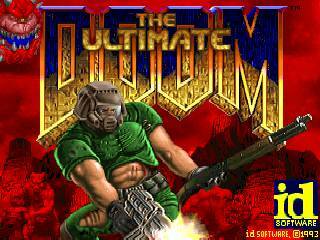 Released in December 1993 by id Software, Doom was one of the few titles ever to genuinely revolutionise the gaming world. It boasted a state-of-the-art "2 1/2D" game engine, stunning visuals (for the time) and an atmosphere so drenched in suspense and terror that some people are rumoured to have actually fouled themselves while playing. It was maybe a little short on plot, but who needs plot when there's this much killing to be done? Slower exits are also available: Toxin Refinery secret in 0:00:45, Command Center normal in 0:00:27, Mt. Erebus normal in 0:00:28, Perfect Hatred secret in 0:00:20. For episode runs on Nightmare skill, the time is 0:21:42.